There are various types of generators based on applications, construction, fuel etc. Generators is an active device which produce electrical energy on the other hand battery saves energy for the future use. Criteria of generator varies on purpose here the classification of generation based on using purpose following. Portable generators are most famous generators now a days in daily life. It becomes famous because of its portability people can take it where they want. Small, compact, handy size portable generators are favorite for camper, RV user. These generators can produce enough power to run a home perfectly so those portable generators are using for home backup also. Portable generators are designed to supply 1000Watt to 10000Watt and more which is enough for camping, RV life, home backup power, portable industry and so many places. 2000Watt – 3000Watt generators are used in camping purpose and 3000Watt – 6000Watt generators are used in RV. Basically it depends upon your need after calculation of your power demand you have to select a portable generators. Day by day portable generators are becoming more popular in industrial works also and as well as quiet generators. Some industrial works done in such places where is no power supply, portable generators are used those places to do industrial works. Portable generators are the best friends for emergency backup power during bad times such as natural disaster hurricane, tornado etc. On those cases you have to use those portable generators which works fine during bad weather. All portable generators do not work perfectly during cold weather. Honda, Yamaha is the best choice in such cases their engine works fine during cold weather. People buy portable generators for various purpose they use it on their home for emergency backup power and when summer comes they take it on their camping or RV for full backup power. It saves money while using at home and camping and RV usage dual purpose which is great user experience. From here you can check the best RV generator. Portable generators are run by different types of fuel gasoline, propane, diesel, solar powered etc. Gasoline powered portable generators are the best choice for camper, RV user due to hassle free, clean energy and fuel availability. Gasoline generators is expensive comparing to diesel generators but eco friendly and it’s life time is no good enough although very popular because you can carry enough gasoline for your camping and RV life. To supply gasoline fuel electricity needs properly it is one of the limitation for gasoline generators. Propane generators are clean energy, environment friendly cost effective portable generators best choice for economical. Exhaust of propane generators is eco friendly, it produces water by products at the running time. Propane cost is less than gasoline. Propane is available if there is no electricity that’s why people love propane generators. Diesel generators are commonly used where need high backup power such as industry or home where required wattage is high. Diesel generators are the most cost effective generators on the market. But there is big problem with diesel generators is not environment friendly it is harmful for nature exhaust harmful gas which unbalance ecological balance releasing green house gas. i) Briefcase type generators: Briefcase type generators are handy, compact, small size generators easy to carry favorite choice for camper. You can carry it by one hand sometimes people get confused how the small size one hand carried generator can supply high power. Honda, Yamaha, Generac, Wen, Champion etc company supply briefcase type portable generators. ii) Traditional type generators: Traditional types generators are those generators which we see all the places commonly. The size of traditional generators are little bit big comparing to briefcase type generators. It is also portable but not such handy as briefcase type generators. The cost of traditional generators are very low comparing briefcase type generators. Maximum traditional generators have wheel or trolley system to carry. The structure and design of these generators are not attractive or well like briefcase generators. Standby generators are fixed generators not moveable which gives high backup power in certain places. It is commonly used in industries and home usage where high backup power needed. Those stationary generators are also used in agricultural applications. 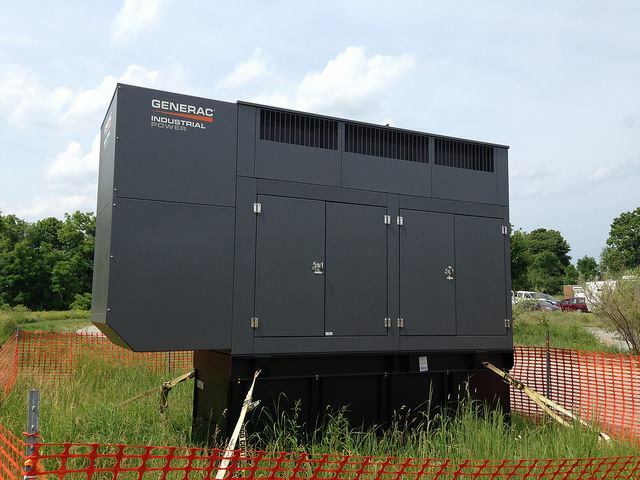 Standby generators are often used in automatic electric transfer switch and starting system. It is connected with the load where backup power needed when online electricity gone it senses and runs within seconds supplying power to the load and automatically shut off when online electricity back. Standby generators are run by propane, diesel and natural gas. To get proper response from standby generators weekly maintenance should be needed. To get critical safety for automatic standby generators building codes is required for high raise building, hospital, fire protection system. Welder generators are the generators which offers welding facility while supplying backup power. Welder generators is portable generator saves your money giving the facility to do your welding work and powering up other tools as well as at the same time. It is commonly used in farms, industries and more commercial place where dual purpose power needed. It is also known as workstation generator. Vehicle mounted generators are the generators mounted on the back of truck or trailer. Where portable generator can not full fill power demand vehicle mounted generators are taken to power up. Vehicle mounted generator has high capability to feed load but all the portable generator has no capability to feed the load. Industrial and portable construction generators are those generators are designed specially for commercial use. It can be run by diesel, gasoline or propane fuel but most cases commercial generators are run by diesel for economical savings. For industrial need high power required so industrial and constructional generators have high wattage power to do construction job perfectly. Industrial and constructional generators are big size, high wattage and also high price as it is used for commercial purpose. While it runs by diesel fuel it causes environmental impact which is not good so that some country or state declared that which fuel type generators can be used on their land to protect the environment. Two bearing generators have high rotating horse power commercially used for washers, welders and marine applications. The shape of this type of generators are different with the normal portable generators or home base generators. PTO means power take off is the generator which connected with your tractor shaft and supply electricity as output. PTO generators are very useful for your farming job gives electricity with the help of your tractor shaft. For long time power backup running mobile generators are used for standby applications are built to withstand. Mobile towable generators have flexible fuel options diesel, gas both facility. It can supply high wattage backup power for long hours in the prime. Mobile generators are big size, high fuel capacity, high backup power.